Suppose you have an account in Citi bank and you want to transfer 1,50,000 Rs to SBI customer and your bank has registered your NEFT service at 12:30 pm. Instantly it will be queued in a slot of 12:00 pm to 1:00 pm and at 1:00 pm all the requests will be cleared. So, effectively your transaction will be cleared after 30 minutes of registration. It is a fund transfer system which is moved from one ban to another in real time and on the gross basis. 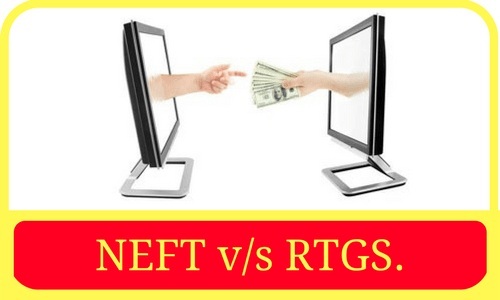 If you have registered for RTGS transaction through your bank branch it will be settled instantly in real time basis. Real-time means that your money will be credited within minutes in the beneficiary account. It is done in batches and it is slower. It is a real-time transfer and it is faster. Timings on weekdays and weekends. Happens in hourly batch between the banks.